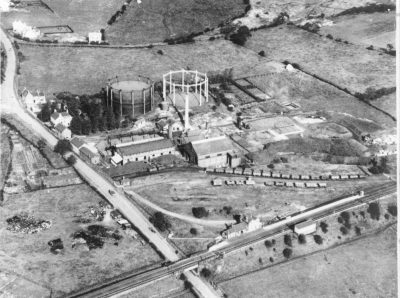 After 13 years of investigation and legal processes, Stonegate and Trent Park Estates (formerly Willenhall Gasworks) has been found to not have contaminant levels of an unacceptable risk for human health, and that the land should not be considered ‘Contaminated Land’ under Part 2A of the Environmental Protection Act 1990. The land of the two residential housing estates, Stonegate and Trent Park, were developed from the 1970s, on the former site of Willenhall Gasworks, which had closed a decade earlier. The Council (the Walsall Metropolitan Borough Council) had been investigating the land since around 2006, to determine whether the land had been contaminated from the historic gasworks. The Council split the area in 10 zones to investigate and found that 89 properties in three of the zones met the statutory definition of contaminated land in March 2012. This was due to the concentrations of Benzo(a)pyrene (BaP) within shallow soils. In March 2015, a Remediation Notice was served to the developer who appealed this decision in April 2015. Subsequently, the Council commissioned the consultancy Land Quality Management Ltd (LQM) to review the evidence and datasets on which the Secretary of State for the Environment decision was held. This review found numerous apertures with the data. These included the concentration of BaP, stating “Overall, it is doubtful that the currently available BaP data, particularly ≤0.5 mbgl in rear gardens, is a sufficiently robust basis for determinations under Part 2A of the EPA 1990”. They also concluded other contaminants had been found on Site such as cyanides and heavy metals, that had not been considered for Part 2A determination and limited analysis had been conducted on the contaminant benzene, which was commonly identified as part of the gasworks process. This led subsequent Site Investigation work completed by LQM in 2018. Soil sampling and analysis of groundwater and ground vapour monitoring wells were completed for substances associated with the heating of coal on the former gasworks sites. A completed risk assessment was to assist the Local Council in identifying if the site had “significant possibility of significant harm” (SPOSH) and would be classed as contaminated land under Part 2A. LQM concluded the presence of contaminants from the gas works were higher than background concentrations but not at levels of an unacceptable risk for human health. This led to the Council proposing to remove Stonegate & Trent Park Estates from the list of ‘Contaminated Land’ on the 23rd January 2019. This case highlights how important it is to assess the risks of liability before buying a new home. 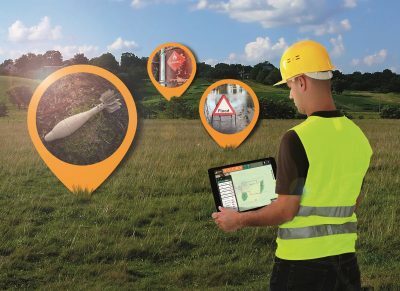 For more information, contact Argyll Environmental on https://www.argyllenvironmental.co.uk/ or call 0845 458 5250.